Our in-depth IPVanish review shows why it is one of the best overall VPN services today - a true Tier-1 VPN. Our in-depth IPVanish review gives you all the information you need. This IPVanish review focuses on one of the most well-established VPN providers in the industry. Formed in 2012 by a team of privacy-minded networking experts, IPVanish was built from the ground up to be a Tier-1 VPN service. As the only top Tier VPN to both own and operate their entire infrastructure. It also uses military-grade encryption, making it a great solution to keep your online activities completely private and to evade the growing problem of online tracking and profiling. IPVanish VPN is also very fast, running more than 1,000 servers in over 60 countries worldwide! Interestingly, these include locations not usually well-served by VPN providers, such as South America, Africa and Oceania. In total, IPVanish has over 40,000 IP addresses you can use. The massive geographic footprint offered by IPVanish VPN helps eliminate lag as there is almost guaranteed to be a server in close proximity to you. IPVanish’s large trove of VPN servers is also ideal for accessing regional TV networks and evading censorship. Platforms: Windows, Mac OS X, iOS, Android (plus setup guides for Ubuntu, Chromebook, Windows Phone and DD-WRT & Tomato USB routers). Security: Up to OpenVPN AES-256-RSA-2048-SHA256. That’s secure! Privacy: No logs at all. P2P downloading explicitly permitted. Price: As low as $6.49 per month (if paid biannually) with our exclusive discount. That's a 46% discount :-). There is also a 7-day money-back guarantee. IPVanish offers easy-to-use automated apps for Mac, Windows, iOS and Android. The service provider delivers a high level of privacy with very little sacrifice of convenience and connection speed, offers servers located just about everywhere, and supplies an impressive range of advanced VPN features (discussed below). 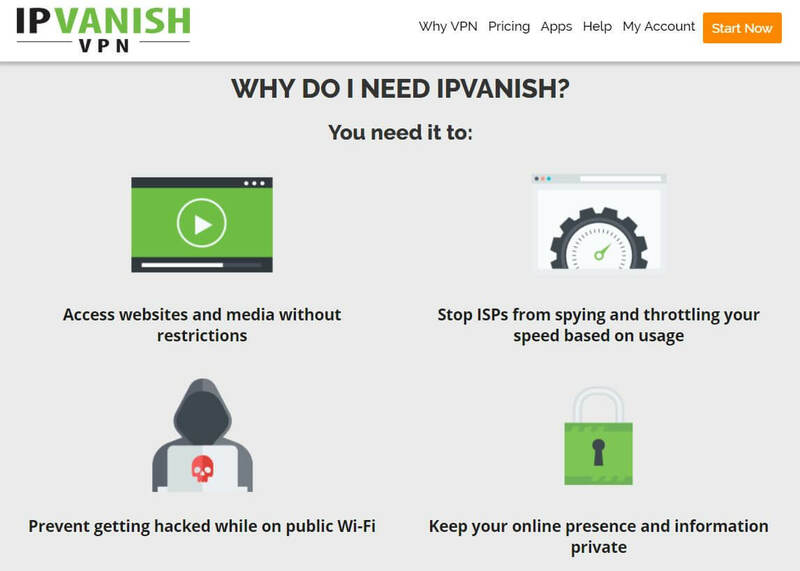 This all makes IPVanish a great all-round option for users who want VPN protection for their daily Internet use. Downloaders will also be pleased to note that IPVanish permits P2P and torrent proxy file-sharing. In mid-2018, a scandal broke about IPVanish: it had provided some logs to law enforcement about one of its customer's activities while using the VPN. The VPN community was justifiably outraged. The important take-away for people looking for a VPN service today is that the actions (and logs) date back to 2016, before the current owners of IPVanish acquired the company in February 2017. The current owners, Stackpath, have bent over backwards to show that they keep zero-logs. As a result, IPVanish can now be said to offer a truly logless service. It keeps absolutely no logs (no activity information or connection timestamps). IPVanish is the first Tier 1 VPN service to allow a whopping 10 simultaneous connections with its plans. 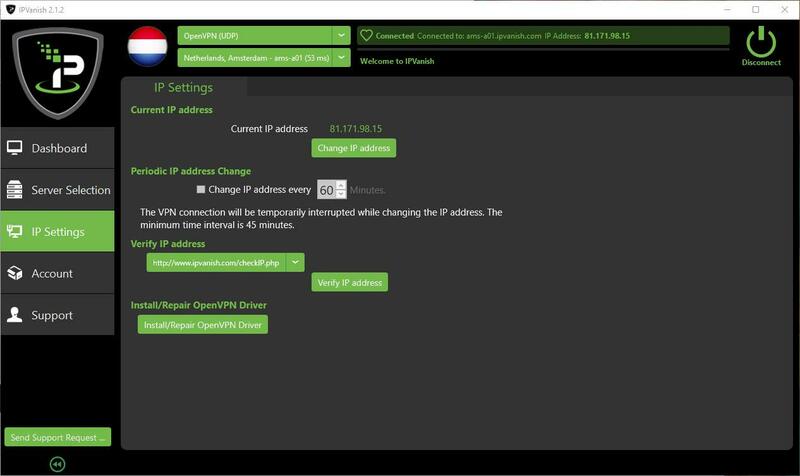 As is normal, IPVanish provides shared IP addresses as standard. And they have over 40,000 IP addresses to draw from. This is great for privacy, as it makes it nearly impossible to link a specific user of an IP address with a specific activity online. Torrenters especially will appreciate this feature together with IPVanish VPN’s strict no logging policy. For the ultra-privacy conscious, IPVanish also accepts anonymous payment in Bitcoin. This enables you to add an extra layer of privacy by not providing your bank or card details to IPVanish (although it will still know your real IP address when you initially connect, as that’s the way VPNs work). Given everything it has going for it in our IPVanish review, it is no wonder that IPVanish is “officially” recommended by the renowned hacktivist group Anonymous. This is an area where IPVanish used to lag behind its competitors. In the past, IPVanish used to offer only email support through an annoying ticketing system. The IPVanish VPN desktop client is an intuitive, sleek-looking piece of software that incorporates a lot of very powerful VPN features. The IPVanish VPN desktop client is oh so sleek. DNS leak protection (including IPv6 leak protection) and a kill switch are the real stars of the show here, although all the other options are also nice to have. IPVanish offers an abundance of servers, located just about everywhere. An interesting feature is the ability to change IP address at automatically set intervals (or manually). This feature is also available in the Android app. How useful it is to be able to change IPs regularly remains open to debate; it may help confuse any adversary or group tracking you over the Internet, but a lot of tracking these days is performed through your web browser (fingerprinting, zombie cookies, ETags, and the like), so changing your IP may not always help with this. On the other hand, regularly changing IPs can do some good, and is unlikely to do much harm, if any. IPVanish’s OpenVPN connections are protected by 256-bit AES encryption with SHA256 data authentication and a 2048-bit RSA handshake. This is first class data protection without a doubt. However, our IPVanish review discovered that this can become something of an issue if a second device is used simultaneously, as it will not enjoy the same level of security. PPTP connections use 128-bit encryption, but these are less secure and should be avoided whenever possible. Ideally, VPN providers wouldn’t even offer the PPTP protocol as an option to their customers, but occasionally some configurations require it or it may be OK to use. For example, PPTP is fine for plain old geo-shifting that doesn’t require encryption. You can learn more in our post ‘VPN Protocols Explained’. IPVanish’s IPsec connections use 2,456-bit encryption (the same strong AES standard used by OpenVPN). This is much stronger than the previously mentioned PPTP. 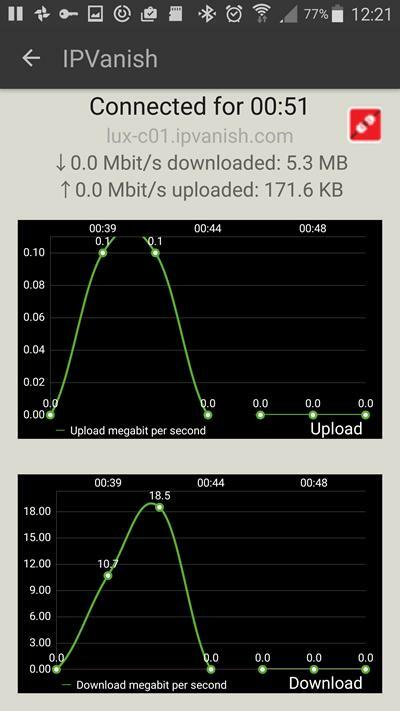 The IPVanish VPN iOS app uses IPsec while its Android app uses OpenVPN. Thus, you can be equally confident using the IPVanish VPN desktop software as you can its Android and iOS apps. In our tests we found IPVanish to be exceptionally fast. With DNS leak protection and IPv6 Leak prevention turned on (as they are by default) we also detected no regular DNS leaks. In most respects, IPVanish provides a quick and robust service that is packed full of just the kind of features we like to see from a VPN. The main drawback is that only 2 simultaneous connections are permitted at a time. Update: IPVanish now allows you to connect up to 10 devices at the same time to its VPN servers with a single account. That's the best in the industry. Also worth noting, but not so much of a drawback, is that in common with many VPN providers, IPVanish does not protect you out-of-the-box from WebRTC IP leaks. This is primarily a browser issue, but fortunately, it is easy to fix the problem yourself (once you are aware of it!). IPVanish VPN is not the cheapest VPN around, but it is still considerably cheaper than popular ExpressVPN (see ExpressVPN vs IPVanish VPN: Which is Better?). Our IPVanish review reveals a very complete VPN service: it keeps absolutely no logs at all, uses first-rate encryption, and is impressively fast. Its desktop software is very sleek and loaded with useful bells and whistles (most notably DNS leak protection and a kill switch). IPVanish VPN also offers easy-to-use and effective mobile apps. Only permitting two devices to connect at once is a small shame, but overall, IPVanish VPN provides an excellent service that is great value for money.